Building an internal culture that loves a challenge is not just a good thing for businesses to do. It is actually essential if that company is going to grow. Employees that are never pushed or challenged grow bored, and surveys have reported that a stagnant work environment is the number one reason that workers look elsewhere. Creating a positive culture has lots of benefits, both to the business and to the people that work for them. Making a change in an organization’s culture is difficult but doing so is quite necessary if an organization wants to grow and succeed. Whether your business is just starting out, or the current culture has been established for a while now, it is never too early (or too late) to make a change. A company that wants to improve must continually look for ways to improve current results. This is done by constantly improving the current standards and “ways of doing things” to find better alternatives. Embracing an entirely different mindset approach may be the best way to challenge an organization towards improvement. Many businesses have found that taking an Agile approach to team projects has improved success rates by 28%, primarily because of its people over process approach to facing difficult projects head-on. The Agile approach is a unique take on the process of working together. It even has its own vocabulary and variations within the mindset so that it can be tweaked and modified to fit every team’s needs. There is no hierarchy within an Agile team, allowing everyone to share their opinions and encourage self-management and teamwork. In order to support such a big change, it is wise to provide your team with the proper tools to make the transition as easy as possible. 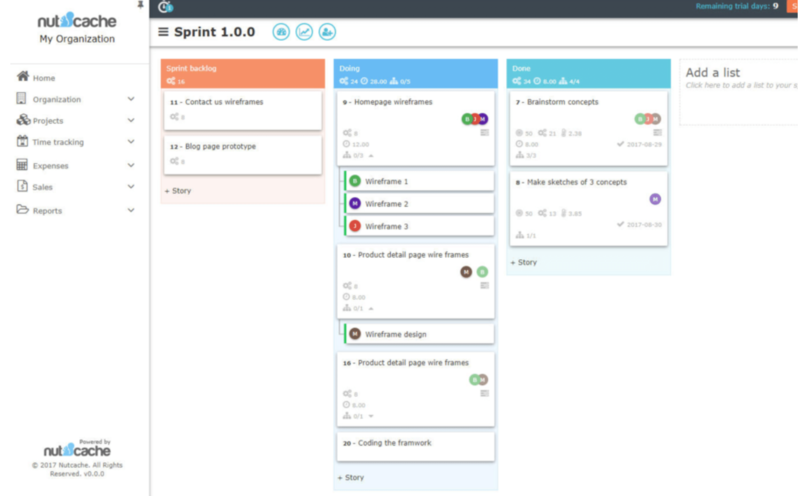 Nutcache is a project management software system that supports an Agile workflow. Teams can communicate and organize projects through the connected dashboards to define team roles and keep everyone on track to hit deadlines. There is nothing more limiting than sticking to the status quo because that is the way that things have always been done. A truly innovative and challenge-embracing culture must seek and try out new ideas that push for growth and progress. Setting and resetting workflows throughout the organization can help teams to find the systems that work best for them. But, it is also important that each change is implemented correctly with the systems and tools that support the new way of doing things. If your team is going to challenge itself and push for innovation and growth, it is necessary that they stay knowledgeable about their business and industry. Being the first to know when big changes occur can also mean that your organization is the first to find a new solution. It is not up to company leaders alone to stay up to date with the latest changes. Everyone in the organization should do their best to stay aware of the conversations and trends that are going on related to the business. In order to keep everyone actively engaged with industry news, setting up an alert system that tracks company mentions or industry-related content can be very helpful. 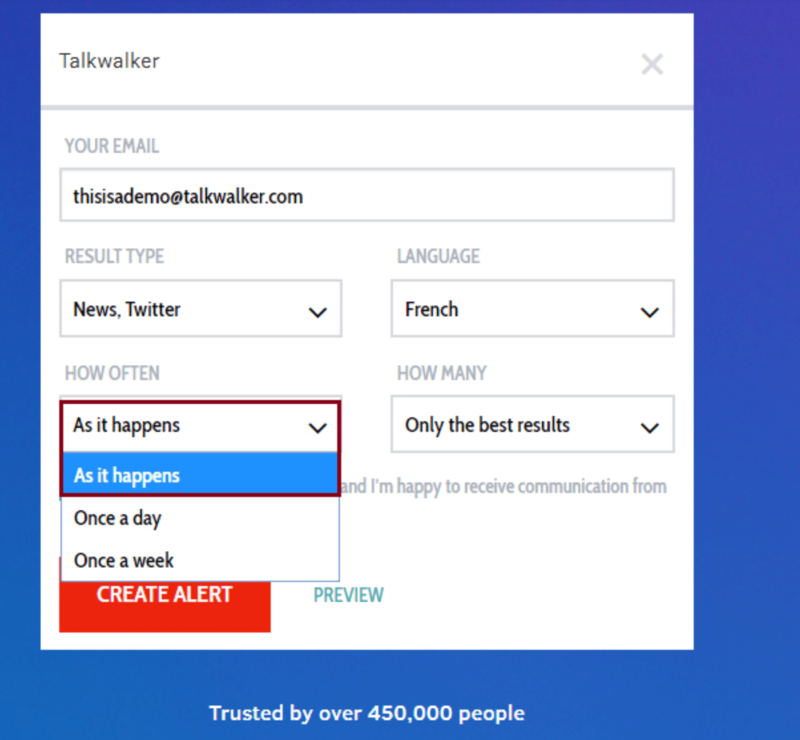 Social listening tools like Talkwalker Alerts can be programmed to send out alerts whenever specific keywords (like your company name) or general information (industry-related news) is posted online. It not only monitors social media mentions, but blog posts and online articles as well. 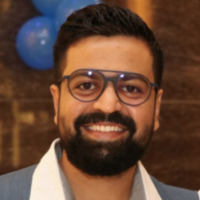 You can then go on to use Talkwalker to measure the impact that specific stories are having with various audiences so that your team is prepared to address any possible issues or questions that customers may have. Creating a company-wide network that makes it easy to share stories and industry updates is a great starting point, such as a Slack thread or a private Facebook page. Make sure that employees are encouraged to share their opinions, ideas, and thoughts on the matter to cultivate a culture of learning that helps everyone stay on the top of their game. Company culture is affected and changed by every single person who is a part of the organization. Therefore, hiring decisions must be made very carefully to ensure no one infects the dynamic of the internal environment. For this reason, incorporating “people analytics” into the recruiting process is the best way to ensure that every new hire is a good one. “People analytics” is essentially a way to put a person’s soft skills, aptitudes, and even their personality traits into defined metrics to see if they qualify as an ideal fit. 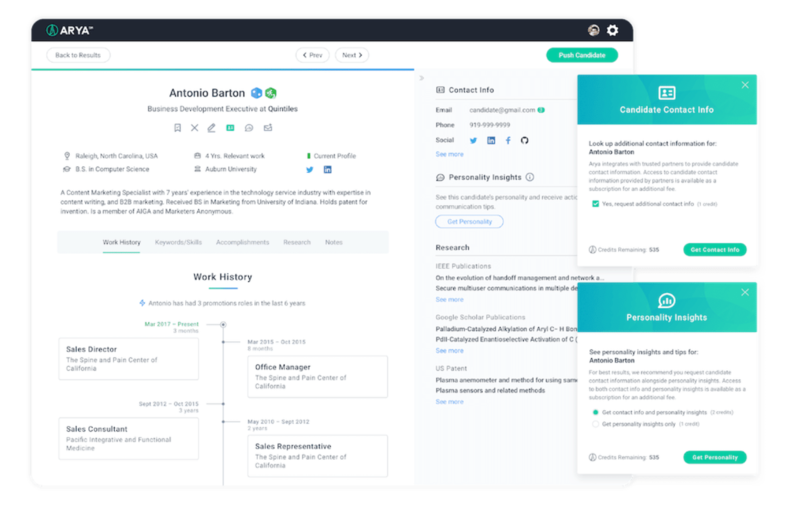 Recruiting tools powered by AI can actually “learn” what qualities a good candidate needs in order to mesh with the company culture. Data-driven recruiting systems like Arya screen applicants and use people analytics to identify skills and personality traits that signal a strong fit. The analytical reports from these systems measure each applicant’s skill levels and aptitudes against a plethora of historical data to help recruiters make more informed decisions from the get-go. The secret to hiring top talent is to have a recruiting strategy in place that will make it easy to determine who the ideal candidate will be. So, before you go looking for new employees, ensure that your hiring team understands the qualities that are necessary for building a challenge-driven culture. Out-of-the-box thinking skills, creativity, and ambition are all qualities that may not be listed out right on a resume, but they are nevertheless important to possess if a candidate is going challenge your company in a good way. It is impossible to grow if you are not challenged, so maintaining a culture that embraces challenges rather than avoid them is essential for innovation. As a leader, it is up to you to make this mindset an innate part of the company culture. Coasting by on auto-pilot is simply not an option for a company that wants to succeed. It is up to leaders to create a work environment that faces challenges head-on by building a strong culture from the very beginning with great talent who will push the status quo. From there, teams should take it upon themselves to push for innovation and improvement by testing various workflows and finding a system that works for everyone. Finally, staying informed and educated is the best way to stay prepared for future opportunities and challenges that may lie ahead.